Carol Kuniholm opened the morning session with a clear statement of Fair Districts PA’s continued resolve to end gerrymandering in PA, then invited closer attention to connections between gerrymandering, our General Assembly’s failure to enact other needed reforms, and the procedural rules that hold gridlock in place. In that first session, Micah Sims from Common Cause PA discussed reforms that would expand access to voting, Jill Greene of the League of Women Voters of Pennsylvania spoke about alternatives to closed primaries and the benefits of early voting, then Peter Ouellette of Represent US Pennsylvania called attention to the way our current campaign finance system blocks full participation by everyday citizens. Rabbi Michael Pollack of March on Harrisburg ended the session exploring the influence of “gifts”, more rightly bribes, which cloud legislative judgement and put the interests of the giver above the common good. In the second panel session, FDPA legislative director, Patrick Beaty, explained an avenue to having an independent redistricting commission in place for Congressional and legislative redistricting in time for 2021. This would be a two step process: first, work for passage of a simple statute to create an independent citizens commission to draw congressional lines. This could allow that commission to be selected, trained and in place before the start of 2021. At the same time, support an amendment to the PA Constitution to put that same commission in place to draw state house and senate district lines. If the first effort is successful, that would create a narrow opening for the second effort to pass in the 2019-20 legislative session and again very early in the 2021-22 session, appearing on the ballot in May 2021. It’s a tight timeline, but possible given enough public pressure. Conversation is underway with legislators in both houses to introduce bills early in 2019. For the remainder of the second session, Yurij Rudensky, Counsel with the Democracy Program at the Brennan Center for Justice and Sam Wang, founder of the Princeton Gerrymandering Project offered insights into recent reforms, ways to safeguard the redistricting process, and resources they can offer in the work ahead. The final session of the day, moderated by former Representative Ken Lee, focused on procedural rules in our state legislature. Representative Steve Samuelson introduced the session with a reminder of the ways his own bill was blocked, despite strong support and repeated requests for a hearing and vote. Bill White shared from his decades covering Harrisburg as Morning Call reporter and columnist, offering a repetitive story, dating from 1991, of attempted reforms blocked session after session. Former state representative and senator Allen Kukovich described the different forms of power at work in our state legislature and highlighted the power of moral authority wielded by attentive citizens determined to do what’s right. Former state representative Dave Steil shared his own valuable experience in working toward reform in 2007-2008, followed by Representative Pam DeLissio, who described the current frustration of rules applied, often inconsistently, to undermine rather that expedite the deliberative process. 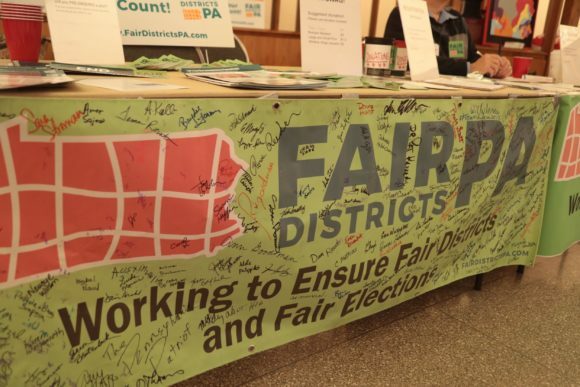 Continued work to enact redistricting reform. Ongoing effort to build grassroots advocacy in all parts of the state. Duplication and expansion of local group initiatives to build broadening networks of civic engagement. Immediate advocacy for reform of procedural rules in the PA House. Look for more details coming soon. 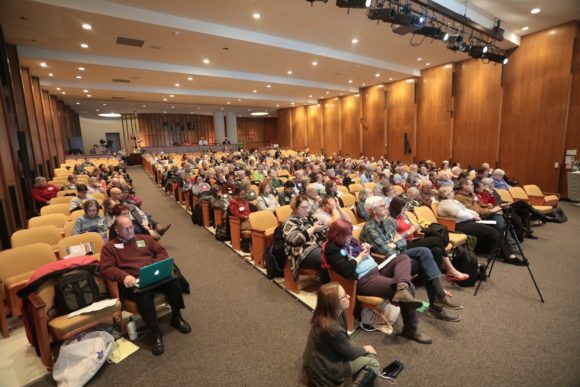 The town hall was a challenging and energizing next step in an important, ongoing conversation.